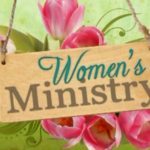 Sign ups will be taken for the next 2 weeks for the Women’s Ministry “Spring Card Making Class”, Saturday, March 30, 2019 from 1-3 p.m. at the home of Sue Bristow. A Cost of $5 will cover all the supplies (prepared by Sue) for at least 3 cards. If you have any questions about the event, call Sue Bristow at 916-835-0586. Her address is: 7605 Chatsworth Circle, EG 95757.